Spring Awakening is back and fans can't wait for June. The lineup was released in a couple of different phases, but is now fully released. The three day festival is June 9 - 11 held at Addams-Medill Park in Chicago. The festival attendance has really grown in recent years as the festival has continued to bring in bigger and better EDM acts. Friday is loaded featuring performances from Galantis, Benny Benassi, Marshmello, Thomas Jack, Audien, Vanic and many more. Saturday continues the momentum with big acts including Zhu, Diplo and Rufus Du Sol. The festival wraps up on Sunday with performances including Martin Garrix, Alesso, Griz, Snails, Duke Dumont and What So Not. 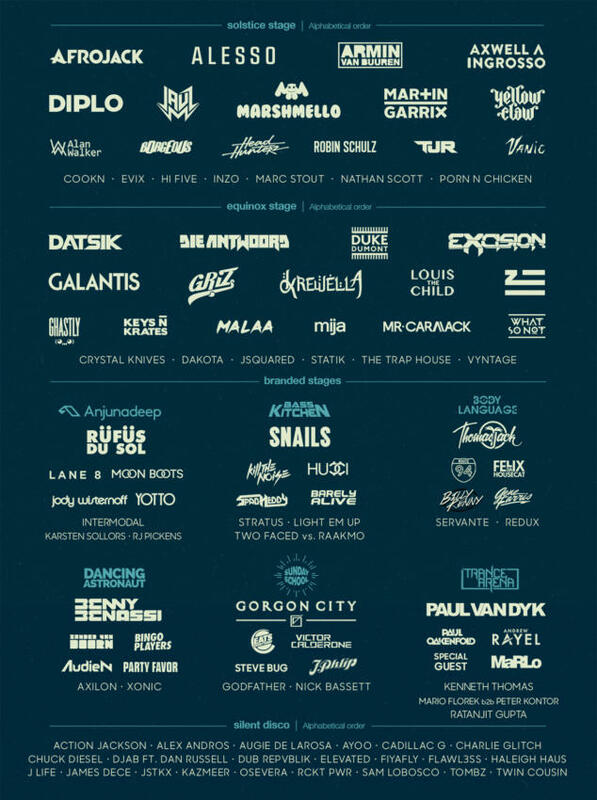 There are few big EDM names not included in this lineup. We were amazed at both the headliners as well as the depth of each day. We encourage all of our viewers to purchase tickets through the link below as this is a festival that you will not want to miss! It doesn't get much better than an EDM festival mid-summer in the heart of Chicago. See you all there!